In an effort to enhance our data analytics operation, DVS recently did a major data recollection and database expansion. This tripled the number of professional and college pitchers in the database, expanded the depth and quality of the injury data, and included additional fields that will allow for more testing. This new data allows for a more accurate and expansive version of the DVS Model to built. The first wave of results are already in. The DVS Model finds statistically significant evidence that, when holding all other factors constant, the later a college or professional pitcher is born the more they are at risk for a major throwing-related injury. A major throwing-related injury is defined as an arm surgery or an arm injury that requires at least a 90-day absence from competitive throwing. 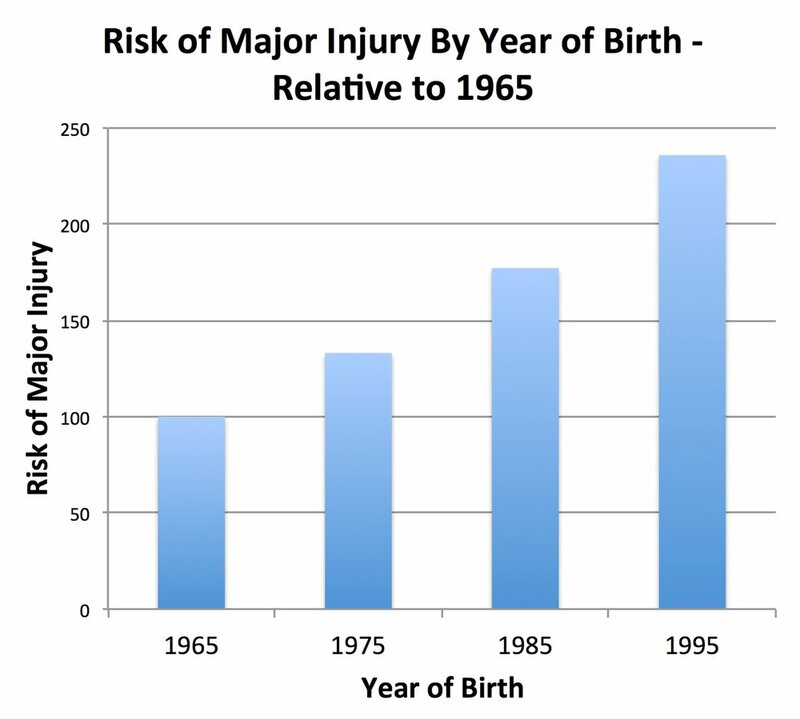 For example, this means that a pitcher born in 1995 is more at risk of a major throwing-related injury, on any given pitch, than a pitcher born in 1985. In fact, college and professional pitchers inherit about 2.9% additional risk of a major throwing-related injury for each later year they are born. This effect is likely largely attributable to the increasing presence of youth year-round baseball and over-throwing. As we continue to formalize our new modeling runs, we will update you with new and relevant statistics that pertain to the DVS Model's ability to forecast a pitcher's injury rate and relative statistics that illuminate the current injurious throwing culture. Stay tuned.